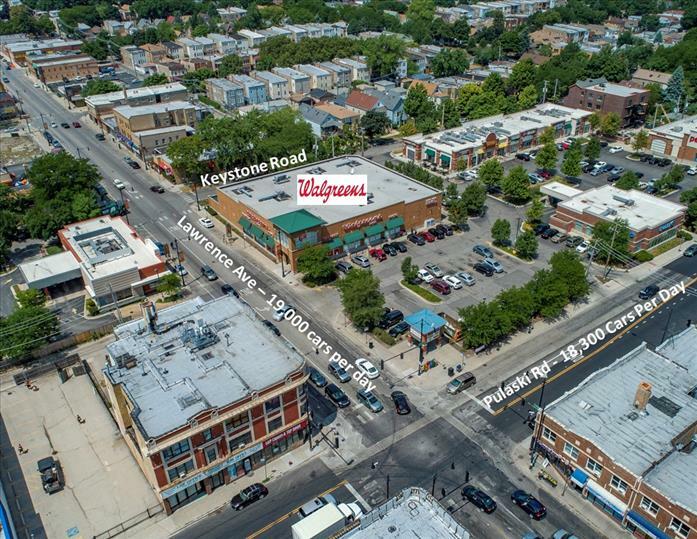 The subject property is located at 4010 W. Lawrence Avenue in Chicago, IL on the signalized corner of W. Lawrence and Pulaski. National retailers in the immediate area include Chase, Starbucks, Fifth Third Bank, Petco, Mattress Firm and many other national and regional retailers. Daily traffic counts in the area are in excess of 19,000 cars per day on Lawrence Avenue and 18,300 cars per day on Pulaski Road.